I posted Part 1 of this two-part post over a week ago and since then, I haven't been able to fully articulate the feelings I had about our concert weekend away, in a way that I felt would fully do it justice. I'm also going to admit here and now that I haven't stopped thinking about the Montage Deer Valley since our time there two weekends ago. After a handful of years with an airline, we've traveled quite a bit more than the average family at our stage in life. We've stayed in a myriad of hotels, motels, lodges, resorts, and inns. We've been fortunate enough to land in places like The Waldorf Astoria in New York City, and we've even felt fortunate enough to find very late night openings in little Motel 6s (sometimes in questionable parts of town) when we've been bumped and booted as a result of our standby travel. We've stayed and the top, we've stayed at the bottom, and we've stayed everywhere in between. We're an average middle-class family, and now that I'm no longer with said airline, we don't book our vacations anticipating that we'll be staying in the best of hotels each time. We are practical and frugal, but also savvy and experienced. We typically make a plan of attack for travel and make it happen. We still travel quite a bit, just to less exotic and exciting destinations. I tend to think that the drive to explore may just be in our blood. 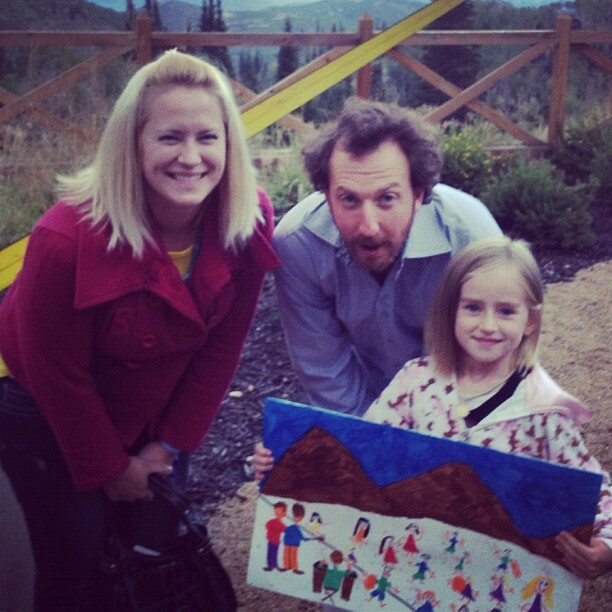 In August when one of my favorite bands, Guster, announced they were coming to Utah to play a concert at a new venue, I was intrigued. I was even more drawn in when they announced a Facebook art contest wherein the winner would be awarded tickets to the show as well as an overnight at the Montage, where the concert was being held. If you haven't noticed.... I like contests. Perhaps I have a background in the fine arts and I can punch something out in hopes that I rack up enough 'likes' to win, but I passed the baton to my 6 year old daughter. She LOVES Guster and also happens to be quite artistic herself. This story you already know.... and the results were grand. Our family was so thrilled about winning tickets to the Guster concert, that we sincerely hadn't even considered the venue or hotel where we'd be staying. Our bags were packed days in advance and when the time rolled around to drive up to Park City, we were ready. The Montage was not a hotel any of us were familiar with. We made the quick 40 minute drive up to Park City and our trusty GPS lead us up above Park City's Main Street to the Deer Valley area of town. We scaled the mountainside watching for a peek of the hotel and came upon something very similar to this. Granted, we weren't arriving in a helicopter, but our view when approaching the hotel was just as breathtaking. If I didn't know better I would have sworn that we'd driven up a European mountainside and approached a luxury villa retreat. In a moment of pure embarrassment, we approached the main entrance of the hotel when our car was approached by a gentleman requesting the keys. I asked for directions to the 'self-park' area and was immediately and gently informed that there was no such thing at this hotel. Of course there wasn't. We passed off our keys and were quickly met by an additional gentleman that took our name and walked us to the front doors of the lobby. From here we were greeted by a lovely woman whom then (literally) announced our family to the individuals that were handling our check-in. We were warmly greeted and escorted to a small sleigh of stuffed animals - all related to the wildlife of the area, and our children were invited to each choose one. That's all it took. My girls were sold. Once checked in we were escorted to our room. Something we are not accustom to. When we stepped into an elevator one of the employees of the hotel looked down at Eva and said, "Ohhhhh.... you must be Eva! Congratulations on winning the contest. We're so happy to have you here with us this weekend." She was beaming. We were walked to our room and given an overview of the amazing amenities. We're talking a rainfall shower, an extra deep soaking tub, a private patio, and amazing linens and toiletries. We were also given a personalized letter written to our family as a welcoming thanks for being at the Montage that weekend. Our lovely tour guide left us to our room and we crashed for a bit. The girls bounced around exploring all the room had to offer and couldn't have been more excited. Within about an hour of arriving, the doors for the Guster concert opened. We had the extreme pleasure of being on the bottom floor of the hotel, just adjacent to the Grand Lawn where this concert was being held. Initially I didn't think much of it, but as the night progressed, I was eternally grateful to the Montage for the easy access between our room and the concert. We literally stepped out of our room for the concert. When we arrived to set up our chairs we realized we'd left them in our trunk when we checked in. Ben bolted for the valet and waited for a bit of time in the lobby. The incredible ladies at the front desk recognized him and offered him two small milks and 2 large freshly baked chocolate chip cookies and asked for him to deliver them to our daughters. Needless to say when the chairs arrived AND cookies and milk came along with them, nothing else could have made our afternoon more perfect. The concert was incredible and Eva may have even teared up when Guster played her favorite song, Either Way. The concert ended and Eva was anxious for a chance to give the band the poster she'd made for the contest. Because Guster was part 1 of a double-headlining show, the crowd mostly stayed in place when their set ended. Eva and I made our way to the side of the stage where Guster would have to pass to re-enter the hotel... and we waited. We waited patiently and he approached. Eva reached up the poster she'd made for the contest and handed it his direction. He looked down, recognized it, recognized her, and leaned down to congratulate her with a big hug. Needless to say, she was beaming. We handed off the poster which included a message on the inside that said, "You're the best band ever," and Eva floated back to our room. More than once she said, "This is the best weekend ever." Italian sparkling lemonade, artisan chocolates, and bottled water? You had us at sparkling. Still bouncing off the walls I wasn't sure how I was going to keep everyone confined. I picked up the letter we'd received from the hotel that I hadn't fully read through previously. The letter invited our family to the 8pm "Gourmet S'mores" activity. Luckily, I read the letter at 8:10pm. We were out the door like lightning. Out on the opposite side of the hotel on a lovely balcony meeting area was a large group fire pit and an absolutely amazing s'mores buffet. If you look closely behind me in the photo you may catch a glimpse of the table adorned with 2 large silver vessels containing soaked roasting sticks. Just beneath that you can see the variety of marshmallows. We're talking traditional marshmallows, but we're also talking gourmet homemade marshmallows - caramel, cinnamon & sugar, peppermint, and vanilla. Aside these options were several ornate silver trays with graham crackers, as well as dark and milk chocolate squares. I don't know about you folks, but I'm TOTALLY recreating this someday. It was divine. After our fill of as many s'mores concoctions as we could handle, we traipsed back to our room again. In the hall, we were met with our floor maître d' who asked us if we were retiring to our room for the night. This kind man, George, had greeted us with a smile and kind words each of the nineteen thousand times we'd come in and out of our room that evening. We informed him that we were indeed retiring for the night and he asked if we minded if he stopped by in a few minutes. Unsure of exactly for what, we agreed and settled in. Within minutes there was a knock at our door and George was kindly standing there with a little gift for each of the girls. Who doesn't absolutely love Klutz books? I wanted to hug George. I'm not kidding. We blissfully drifted off to sleep that night in the very most comfortable hotel bed that any of us has ever had the pleasure of being engulfed in. The next morning we awoke to incredible weather. We spent some time on our patio eating cookies and enjoying our room. Our breakfast at the hotel was equally as incredible. Local meats and produce, amazing flavors, and our waitress, a lovely woman from Bulgaria, brought each of the girls a 2nd stuffed animal from the hotel lobby. After breakfast the girls were anxious for some time at the hotel pool. With an option inside and an option outside, we had the next few hours mapped out for ourselves. The pools were both incredible, the staff amazing, and the pool towels seemingly twice as nice as any blanket I have in my own home. It was the most relaxed I'd been in as long as I could remember. I soaked in the Park City mountains, sipping my bottled water and basking in the perfectly warm, yet slightly crisp fall Deer Valley air. As the afternoon approached, our time at the Montage had grown to an end. Our overnighter had felt like a full weekend away, and we'd met a little family concert adventure without any incident. If you travel with small children, you too know that this is quite an accomplishment. I was rested, refreshed, and rejuvenated, and our family had a whole series of amazing memories to walk away with. I wasn't kidding when I stated at the beginning of this that I hadn't stopped thinking about the Montage since our time there. I've been trying to pinpoint why our experience was so much more impressive than anywhere else we'd traveled. Was it the concert? Was it the timing? The activity options abound at the Montage. Things I didn't even get around to mentioning (Think kids crafts and lawn activites. Think archery classes and yoga sessions) are pepped throughout the day and night and provide something interesting and engaging for every type of person. But the options aren't even the clincher. It was the service. The folks at the Montage are incredible. We were personally greeted (almost always by name) when we moved about the property. The sincerity among those working there was palpable. Granted the facility is incredible, and almost still brand new, but that's not what made our weekend so magical. The folks at the Montage had us feeling like royalty, and as a family with 2 working parents, that's not always something we're familiar with. 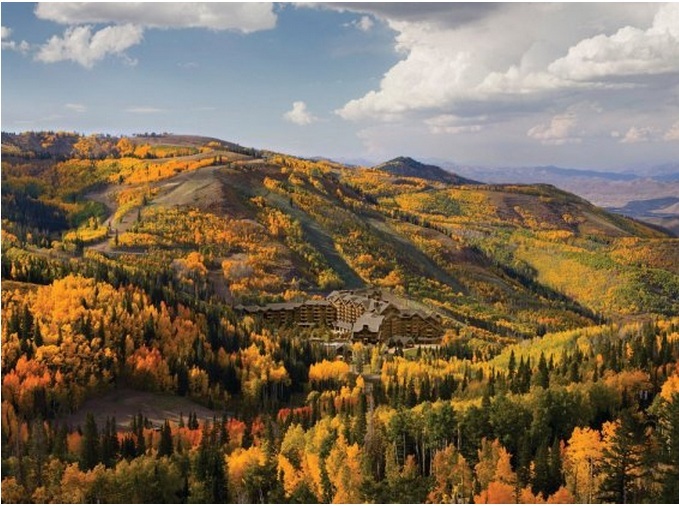 This holiday season marks the Montage's 3rd year here in Park City. If you haven't had a chance to visit yet, make it happen. I was also pleased to learn that the Montage has locations in Laguna Beach, California as well as Beverly Hills. (Of course it does). 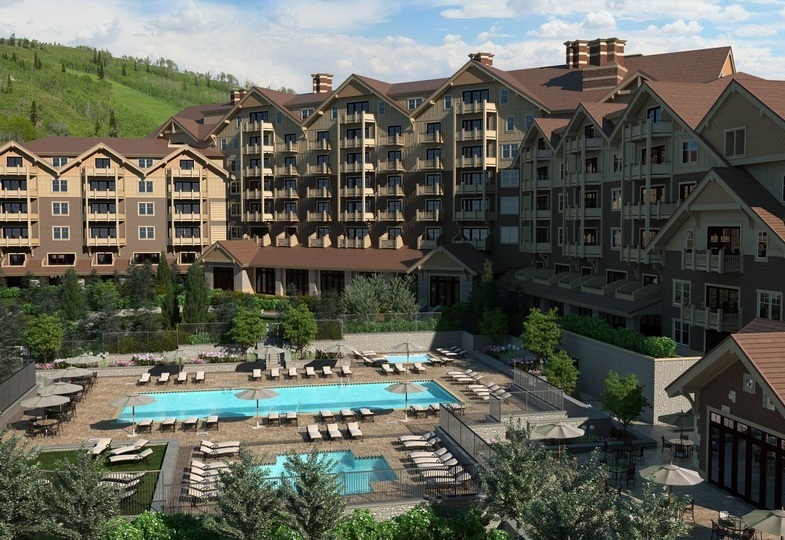 This resort is something I consider a seriously hidden gem within the Park City area. I set a secret goal to somehow make a visit to their location a family tradition. I also secretly plan to somehow pull off visits to both of their other locations. Forget all those other places you always considered spending your special occasions. You have a new destination now. Thank you Guster. Thank you Montage. We had a weekend of a lifetime. Sounds HEAVENLY! I might have to go for a weekend with the hubs one of these days! Absolutely do it. It's out of our normal getaway price range BUT I think we'll definitely do it again for a special occasion! That place looks absolutely gorgeous! Thanks for the comment and YES - it's amazing! Looks like you had a great time! I love the stuffed animals idea for guests with children - what a great way to make them feel welcome. The stuffed animals have definitely been a favorite. They're part of our family now and each have a name and a story. So cute. Heavenly! Glad you had suh a great time! LOL. I have definitely had those embarrassing moments in very nice places. :) Sounds like it was fun! WOW!! The fact that they treated you like royalty when you were a guest who had won a contest (instead of booking and paying for your room) says more than they could ever say in a commercial. Your girls are adorable, and I LOVED your review!! Thanks Becca. It was such a cool experience I was glad to have an opportunity to review it somewhere to give the Montage some exposure. I love that they rolled out the red carpet for the whole family! Great family events, and extras are a rare; what a joy it was it was to hear all about the "little things!" Sounds like a relaxing and wonderful family centered experience! That's exactly what it was. I always say, "Love is in the details." and that was definitely something we noticed there. This is a great review! I want to go tomorrow! Love all the little things they did to make you and your family feel super welcome and important! Event the kids! I love all your pictures! Sounds like heaven. I know that my family would be in heaven. I've never heard of a hotel like this before. It sounds AMAZING!